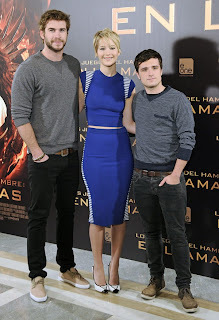 Catching Fire had its premiere in Madrid last night! (November 13th) In attendance were Jennifer, Josh, Liam, Meta, director Francis Lawrence and producer Nina Jacobson. 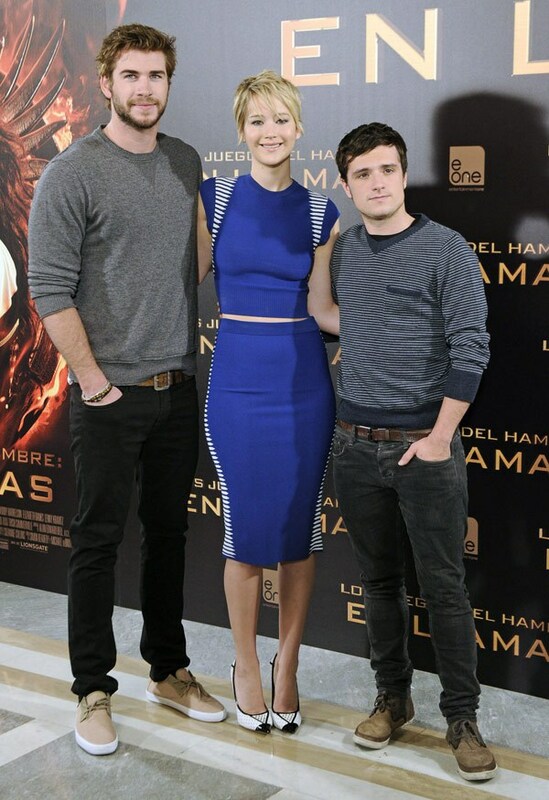 Click here to see more photocall images from Just Jared. 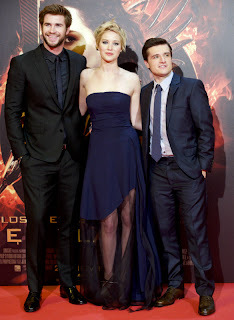 Click here to check out more photos from PopSugar.